Learning Spanish in Alcala de Henares while staying here is the best chance you will ever have to improve your Spanish language skills and learn real Spanish. 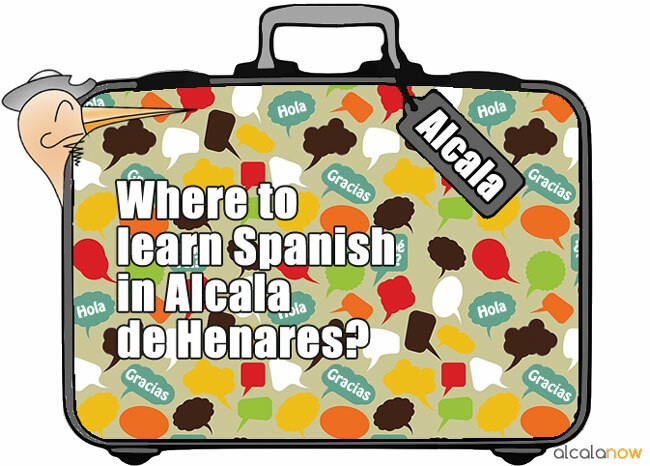 There are two ways of doing it: you can receive extra language classes or you can meet Spaniards in Alcala. For better results, do both! Alcalingua is the school of the UAH dedicated to teaching Spanish to foreign students. If you are an Erasmus student in this University, chances are that you are already taking an introductory course in this school. They offer annual courses, quarterly courses and Intensive Summer Courses for students from all over the world. There are also courses for Erasmus students, which they can validate at their home University and receive ECTS credits. This link has all the information you need if you are interested in this school. The EOI is the state-owned school of languages, and thus it is considerably cheaper than any other language academy (although prices doubled this year, due to the economical crisis in Spain). The quality of the classes is usually very good, with highly experienced teachers, but on the other hand they are usually large – 20-30 students, so you will not have such personalized attention from the teacher as you might have in more expensive language schools. In our personal experience, classes are only crowded during the first few days, and it is not unusual for a class to start with 25 students and end with less 8 or 9. The Spanish lessons cost approximately 269 Euros for 120 hours, over a period of four months. There are different timetables available, both in morning and evening shifts. From around the 15th of September to 5th of October, you have the chance to apply for admission since there are courses beginning around the middle of October. There is also the possibility of learning a different language (English, German, French or Italian) in the EOI, but they are highly demanded and consequently you need to pre-enroll months before starting the course. The Head Office of the ‘Instituto Cervantes’ is located in Alcala, where Cervantes was born. This institution is a worldwide non-profit organization created by the Spanish government to promote and teach Spanish, and also to spread the culture of Spain and Spanish-speaking countries. This is the institution that offers the Diplomas of Spanish as Foreing Language (DELE) examinations, the only certificate for non-native Spanish speakers that is officially recognized in Spain and internationally. The Instituto Cervantes is also the main organization for the training of teachers of Spanish as a foreign language, whose Spanish Teacher Training Center is again placed in Alcala. Undoubtedly the best option for a highly recognized certificate. More information available here. Living in Alcala is a really good opportunity to meet Spaniards, practice your language skills in real life and have fun while doing it. You may wonder how to meet Spanish speakers; I’ll tell you. If you are able to read this post, you have what many alcalainos want, which is being fluent in English. If you offer any Spaniard your knowledge of English, they will be deeply grateful. Spaniards go to language exchange meetings because they want to speak English, so you can’t expect to practice much Spanish there. The bright side is that you will have the opportunity to meet them afterwards; give them your phone number and become their friend. There are great meetings in Whelan’s Irish pub every Thursday night (Corral de la Sinagoga, Calle Mayor 37). Check their facebook. The ESN (Erasmus Student Network) Alcala offers a language exchange program for Erasmus students. You can apply for it in here and wait for an answer. In the meantime, try going to a language school and put up a sign there offering yourself for a language exchange. People will likely respond. The ‘Escuela Oficial de Idiomas’ is an excellent place for that. Soy de Alemania y es muy probable que vaya a estudiar en la Universidad de Alcalá el segundo cuatrimestre de 2014. Por eso me gustaría saber hasta cuando me debería inscribir en un curso de español para extranjeros. Por favor, me podría dar más información sobre el gasto y los ECTS que se puede obtener después de acabar el curso con éxito? Yo participaré en el programa de ERASMUS, habría un descuento para estos estudiantes? Es un blog que trata sobre el tapeo en España, y en especial el tapeo en Alcala de Henares (Madrid). * Rutas de tapeo por Alcala de Henares (Madrid). * Catas de vinos a domicilio con sumiller profesional. * Fiestas a domicilio con tapeo y música con DJ. * Cualquier otro evento relacionado con el tapeo que nos propongas. Nos adaptamos a todo tipo de eventos. Entra y conócenos. I am Anjali here. I am looking for a Spanish language exchange partner. If anyone is interested, please let me know. I am Sanjay (from India), a software engineering researcher looking for a Spanish partner for leaning Spanish language. You can improve your English with me. I am available in evenings (monday-friday)and Saturday and Sundays. I´m spanish native and I´m interested to make a language exchange with you. I am Stelios from Greece. I am a lawyer visiting Alcala for two months. I am looking for a Spanish partner for learning some Spanish. In return, I can help you improving your English. Hello my name is Jess, I am English but really want to improve my spanish, eitier looking for an exchange or cheap spanish classes. My is Javier. I’m Spanish and I’m really interested in improve my English. I think the best way to do it is doing speaking. I offer to you, firstly, check our foreign languages, and then, if we’re agree, start to do it. 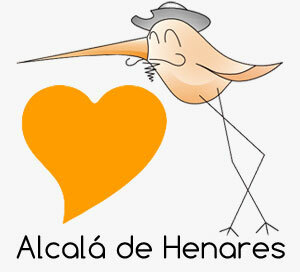 I am an English business living in Alcala & would like to have personal face to face Spanish lessons. I am looking for individual tuition in person rather than skype etc.